This was LMA’s 25th annual conference, and it showed. Attendance was up again at about 1100, with marketers and attorneys from 14 countries in attendance. There was a feeling of optimism in the air, which was nice after the past two years of economic and employment turmoil in many law firms around the world. Tough times are far from over, but the feeling was a bit different this year. It was perfectly appropriate to start a conference at Disney World with a keynote from The Disney Institute. Our presenter was Jeff Williford, one of 30 Facilitators who travel around the world teaching others about Disney’s Approach to Business Excellence. Jeff had our attention for 90 minutes, and could have gone twice that long because his information was interesting, relevant, fun, realistic and delivered in a manner that was engaging. Now, I will admit that Jeff had me early on when I answered his trivia question about Mickey Mouse’s original name being Mortimer. Being very easy to please, I was happy to win a plastic Mickey Mouse figurine that sat on my laptop for the remainder of the keynote, and held a prominent spot on the TV stand in my room for the next 6 days. I told you I was easy to please. Some of the highlights that I captured are found below, followed by my interpretation and recommendations for your implementation in italics. Do you know how your firm began? Do you know what was important to your founders? Find out, and share this information often. Financial Results – Are goals identified before the year starts, then shared with everyone? Disney calls its visitors Guests, and its employees Cast Members. Are we as respectful to our employees, or do we still call them “non-lawyers” as if they are somehow substandard? Disney knows that their strongest marketing comes from all of us, their guests. They find inspiration in this, and act accordingly. Do we realize this about our current clients, or are we putting more attention and resources toward acquisition? Disney knows that every child is blessed with a vivid imagination, and that, just like any muscle, it grows flabby if not exercised. Vision, which answers the question What do we want to be? Mission, which answers the question What do we want to do? Customer, which identifies For whom do we want to do it? Essence, which outlines How do we want them to feel? Disney teaches that you have to think about where to meet your clients on their emotional level. Are you asking yourself what your clients are feeling at any given moment during your relationship with them so you can help them at every level? Whether for your cast or your clients, provide guidance and direction, avoid wasting resources (both theirs and yours) and keep everyone focused. That is your job. Disney has identified 60 opportunities to build relationships with their guests every day. Start typing or writing today, and answer the question: “What is every possible opportunity that we have to touch a potential/client?” Then I want you to be specific about how you expect everyone to fulfill each touchpoint. Do it as a team, including all who have contact with clients, both directly and indirectly, in order to come up with the best ideas, and to encourage buy-in of this process. Disney teaches that you need to listen to your clients because they will usually tell you what they want. Novel idea, yes? Have you implemented that Client Listening and Satisfaction Program you’ve been thinking about? If not, give yourself a deadline to start. Why is next year better than this year to please your clients? Listen to clients, staff and attorneys. Benchmark where you are today so you can determine success at different intervals. Implement what you learned in the Listen and Learn phase when you started. Measure progress against the benchmark. Discuss and celebrate the results. Share results widely….and this means with everyone. Go right back to square one and do it all again. Disney involves its people in decision-making, and gives them the flexibility to make decisions. It’s okay to hire talented people, train them, communicate your vision and standards, then let them make decisions that don’t always need committee approval. It’s amazing and rewarding to see how people step up to the plate when you let them. Disney believes in the Power of Story. Are people saying what you want them to say? If you have a message, and we all do, let people know what you want them to say about you. This means internal and external audiences. Don’t leave it to chance. Give them something to talk about. I wrote about that here. You have to decide: What will be the title to your story? What do you want that to be? Guess what? It’s up to you, so decide, then make that the focus of everything you do. Is it…. I gave it all, and then some? She loved her clients, and they knew it? They always knew where he stood? He always went above and beyond? She added value to every relationship she had. Disney teaches that the most important thing you can do is to manage your relationships. How much time do you spend connecting with your clients, both internal and external? Do they know, like and trust you and your work? Are you easy to do business with? Do they look forward to seeing your name when their phone rings? Do they mind picking up the phone to ask you a question? Walt considered himself a little bumble bee, going from one area to another, gathering pollen, then distributing it. How many other practice or industry groups, or even offices, do you visit with the goal of learning how you can best talk about what they do, or what the entire firm does? How many times have you taken your knowledge of two compatible teams or clients, then connected them? How many times have we all heard: “The culture of law firms is different. We’re just not like our corporate counterparts.” What does this mean? It has to be more than the partnership structure that gives a law firm its culture and feel. Is it something that just happened over the years that we don’t really understand, or know how to define, and just expect our people to adapt to? Be more deliberate than that. Sit down and define and design what you want your culture to be. Make sure it’s easy for everyone to understand. Make sure it’s easy to see how it helps to achieve your firm’s goals. Then communicate it often to everyone. Then you will have a culture everyone will understand and can be proud of. 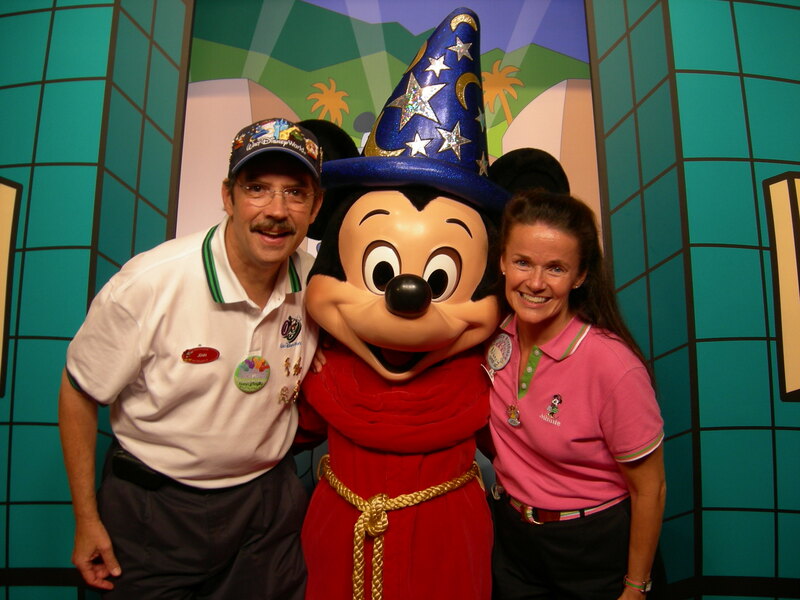 There are 4 key strategies for hiring cast members at Disney. Communicate your culture. If they don’t hear it now, how can you expect them to demonstrate it? State your non-negotiables up front. Don’t make this a mystery. People understand parameters. Treat applicants as guests. If you exhibit this respect up front, your people will understand how to treat clients. Hire attitude not aptitude. You can always teach skills, but you can’t always teach a positive attitude. Be proactive with recognition. How do you recognize all of your people for the seemingly small, everyday things they do? You’d be surprised how much it means to people at all levels to be thanked and recognized for what they do. Institute a formal recognition program, including giving everyone the ability to award and report Everyday Excellence when they see it. It doesn’t always have to come from management to be effective. Write 5 quotes that you wish your people would say as a result of working at your firm. Then work backwards. Go to them, and ask them what the firm can do that would cause them to feel this way, and to be able to honestly say those 5 things. Encourage them to think creatively, and that there are no silly answers. Don’t stop there. Institutionalize and implement those practices. Why wouldn’t you want an army of happy, empowered client-service people out there? Disney knows that the more you know about your clients, the more you can be prepared for them. What client doesn’t want to know that their lawyer or professional knows them inside and out, and can anticipate their next move? In this day of extreme competition, it’s worth it to research clients on a daily basis. Interview them, stay on top of their company, their industry, their goals and challenges, and be proactive in approaching them when you see something that has an impact on them. Remember, if you don’t, someone else might. When people spend money with Disney, Disney wants to know if they found value in that. Do you dread sending bills because you know your clients are going to hit the roof? Before you start the engagement, ask your client what a win would look like for them. Discuss wins of all different kinds. Every matter doesn’t fall on the side of the client, so what makes the process a win too? What kind of behavior and representation do they expect? Then discuss these outcomes when the matter has been closed. This not only sets up your relationship on mutual footing, but it also helps the client understand what part of that “winning” scenario, which they defined up front, was accomplished when they are presented with your invoice. There should be no surprises. Disney strives to exceed their guests’ expectations (Strategy) by paying attention to every detail of their delivery (Tactic). State your goals by firm, practice area, industry group and administrative area. Then take time to identify the strategies that will help you achieve your goals, then decide what tactics you need to use to accomplish those strategies. Isn’t this the same for your clients? If they perceive you are giving them everything you can possibly give them in terms of your dedication, time, loyalty, wisdom, advice, value, knowledge and determination, won’t they be less likely to follow the next attorney they meet, or who approaches them? This doesn’t mean give them everything you have, just everything you can possibly give. If you would like to read another post I wrote the last time I visited Disney World, and observed their recognition of their clients, you can find that here. It is called Clients: What Button Are They Wearing? If you would like to read all of the posts written thus far by The Bloggers of LMA, you can find them at Heather Morse’s blog here. My question for you: Given what you know or have read about Disney, what other practices of theirs do you think apply to your firm or practice?